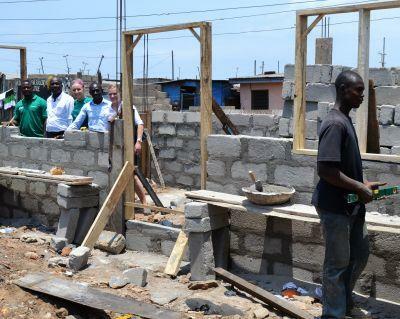 Projects Abroad Human Rights Office (PAHRO) makes significant progress with the Fadama Legal Assistance Programme (FLAP) in the slum community in Old Fadama in Accra. The Human Rights team of volunteers and staff have been creating awareness and empowering the community to know about their basic human rights. The volunteers held a workshop with a group of men from the community and explained the conditions under which police arrests must be conducted with or without arrest warrants. The volunteers also explained what illegal detention means and the fact that if any of them were held for more than 48 hours without bail or arraignment in court, then that constitutes illegal detention. They also explained to them that women and children have safe guards and special protection if they get arrested and that the men should demand that the police respect their rights. After the workshop, the volunteers distributed the names and contacts of institutions that they can call in order to get legal assistance. The volunteers used this opportunity to introduce the FLAP Centre, which is still under construction and advised that the community should not hesitate to contact them when need be. The men who participated thanked the volunteers for coming to give them valuable information on something they face almost on a daily basis. The participants bemoaned situations where the police request money from them when they want bail. Some also recalled times when they have witnessed suspects spend more than 48 hours in police custody without court or bail. According to them, this is a normal practice by the police. 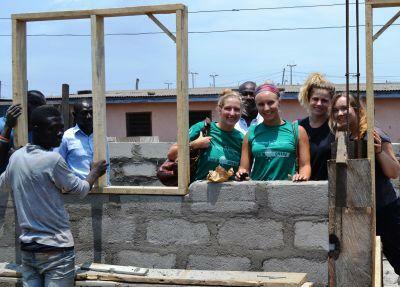 After the programme, the volunteers paid a visit to the building site of the new FLAP Centre. The building was a result of fundraising and donations from Jennifer Croker (Australia), Kristine Mikkelsen (USA) and Jennifer Mill (Australia).